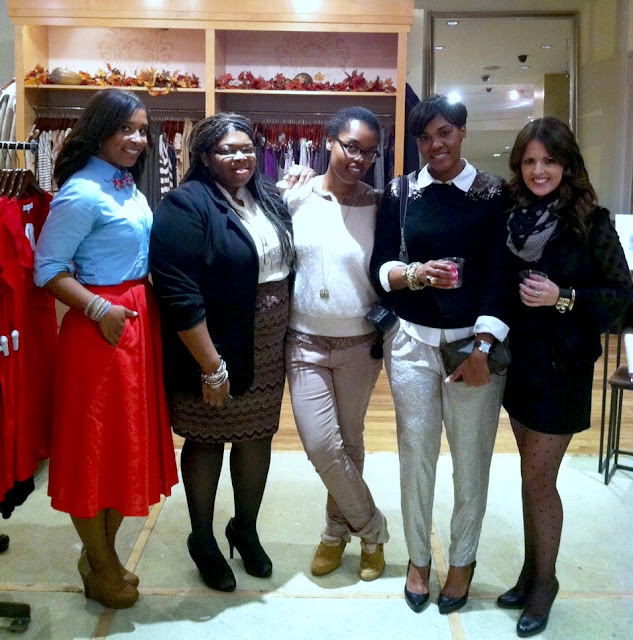 Last night I attended a wonderful event thrown by the fabulous Chyanne of Yuppie Lady to benefit Dress for Success. 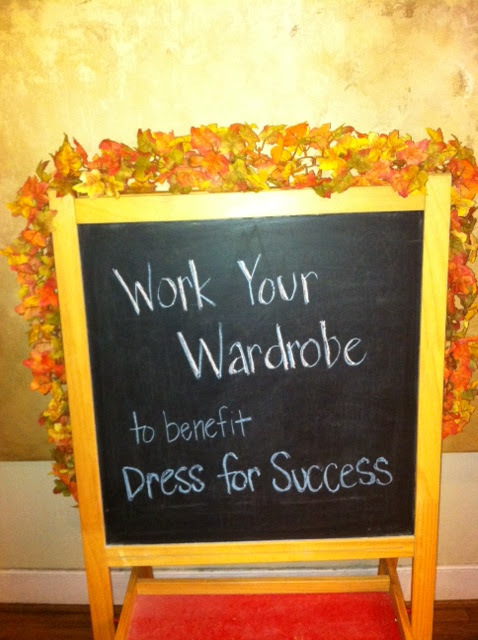 If you aren’t familiar with Dress for Success here is a small glimpse of their mission taken verbatim from their website: The mission of Dress for Success is to promote the economic independence of disadvantaged women by providing professional attire, a network of support and the career development tools to help women thrive in work and in life. Founded in New York City in 1997, Dress for Success is an international not-for-profit organization offering services designed to help our clients find jobs and remain employed. Each Dress for Success client receives one suit when she has a job interview and can return for a second suit or separates when she finds work. 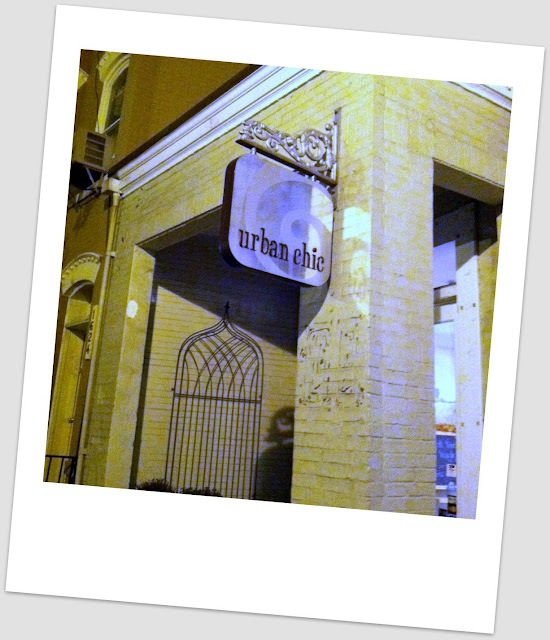 The event was held at an ultra chic and uber stylish little boutique in Georgetown named Urban Chic. 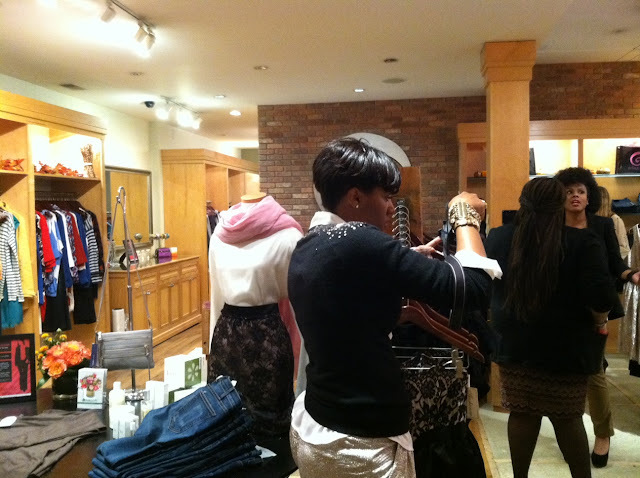 Their staff is beyond helpful and so nice, that we didnt even feel as if we were in a store but just hanging out with girlfriends shopping. I seriously was about to do a jig when I saw they had the J.Brand Love Story jeans that I have been coveting. Its a must that I go back and scoop them up! The best part of the event was Chyanne’s hospitality. I strongly believe that if you throw an event you have to treat it as if these people are coming into your home. 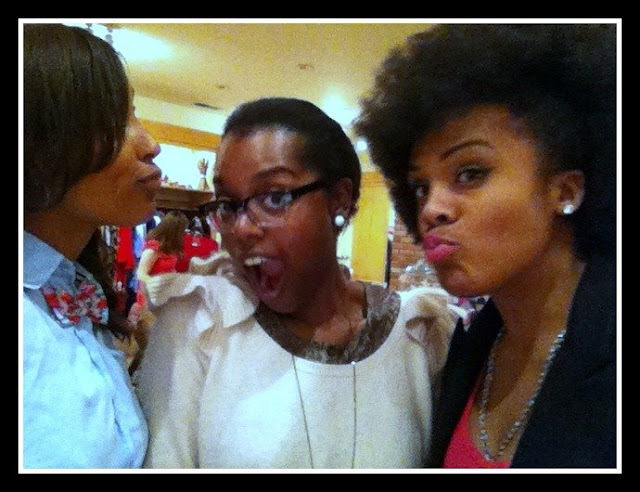 Greet them, mingle and act as if you are happy that they have come and Chyanne did all of that and more. 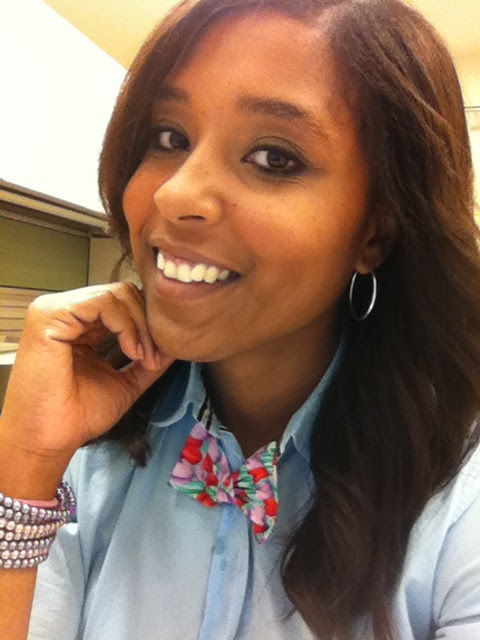 I love mixing androgynous and feminine so in my mind a bowtie and girly colors were the perfect match! Here are some pics from the event… I apologize I forgot my camera today at home so dont have those to post but do have my iphone pics. Please check back later for the second set of pics from the DSLR. Enjoy!!!! 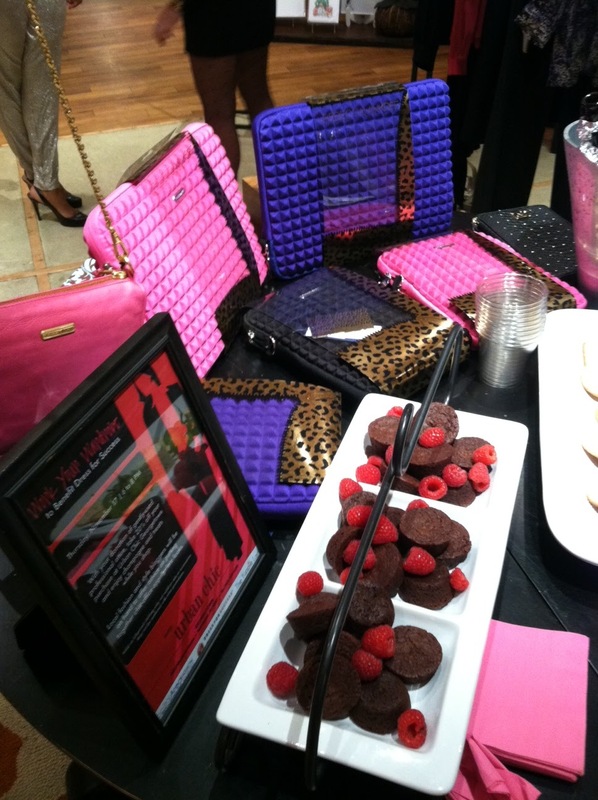 Rebecca Minkoff, Chocolate and Raspberries, did I die and go to heaven? 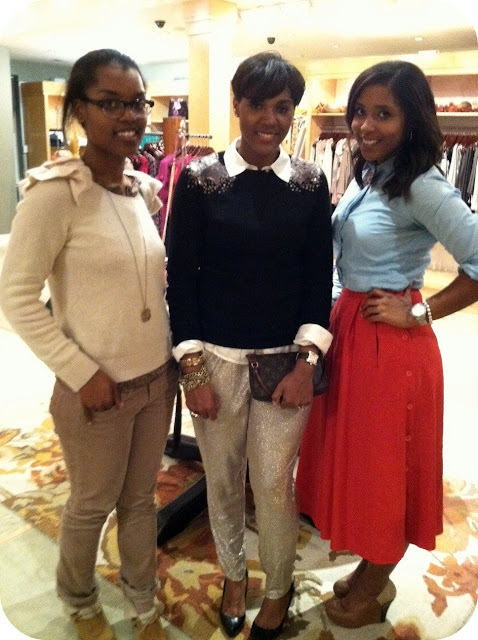 tell me you are not in LOVE with Chyanne’s sparkly pants and sequined shoulder sweater? Great recap! Those J.Brands looked great on you!!! Absolutely adorable! I’m inspired. Definitely gotta try this. 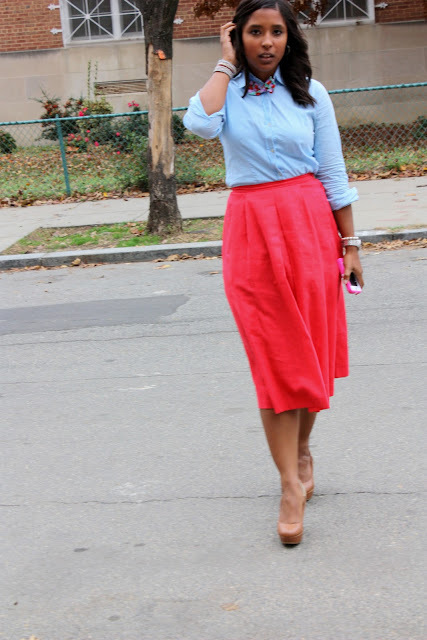 Several cute outfits in this post!! 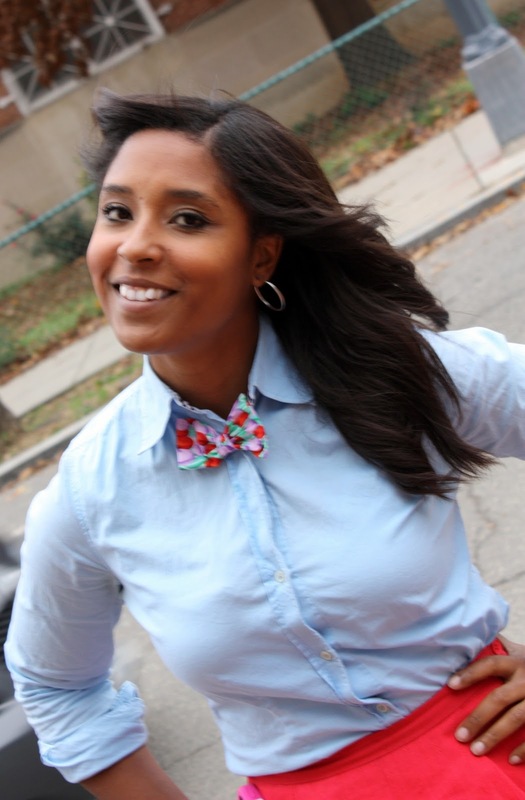 Looked like fun; the bowtie is such a cute touch!! I luv the last pic…so cute! 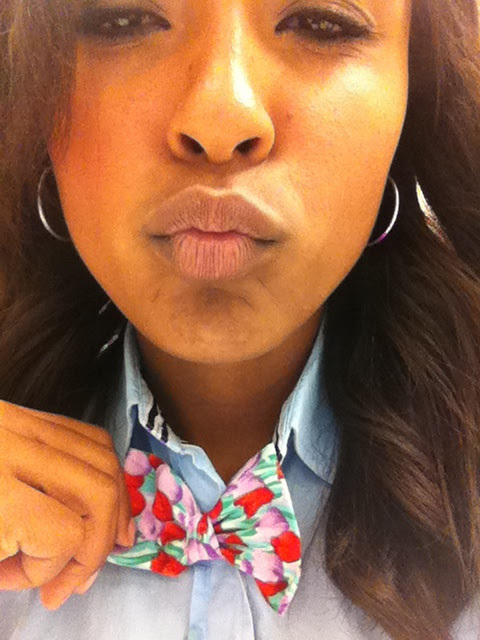 You don’t know how much of a fan I was of this outfit. One of my favorites from you. 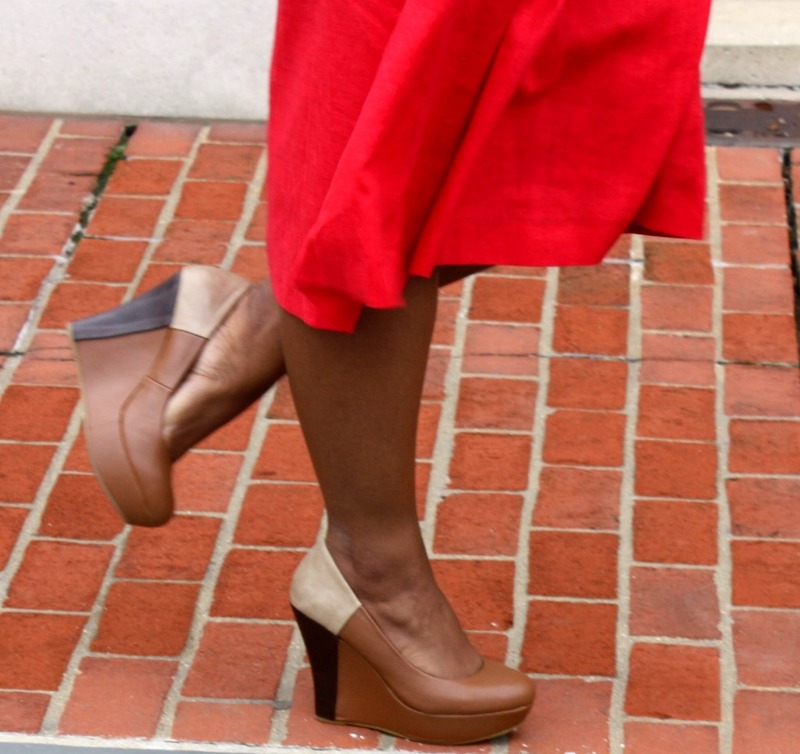 I especially like the wedges. 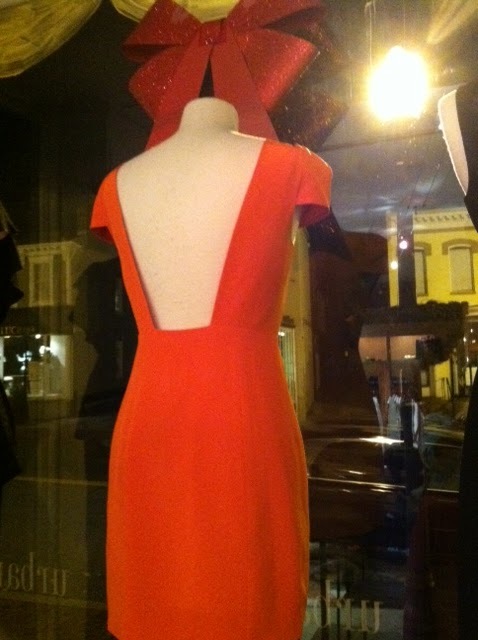 You look great doll! 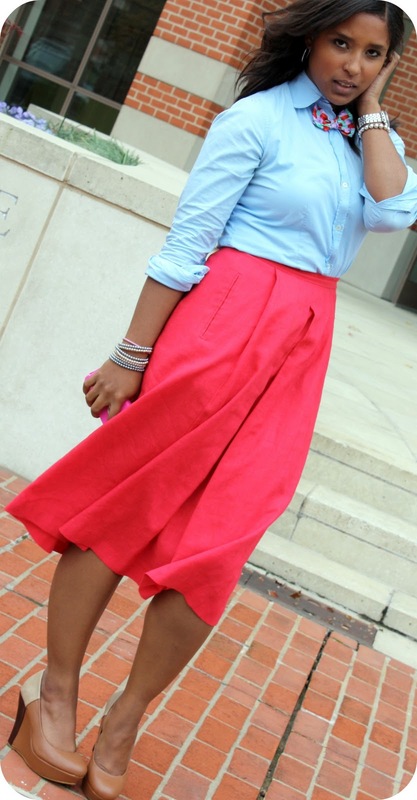 I love the bow tie with the red midi!